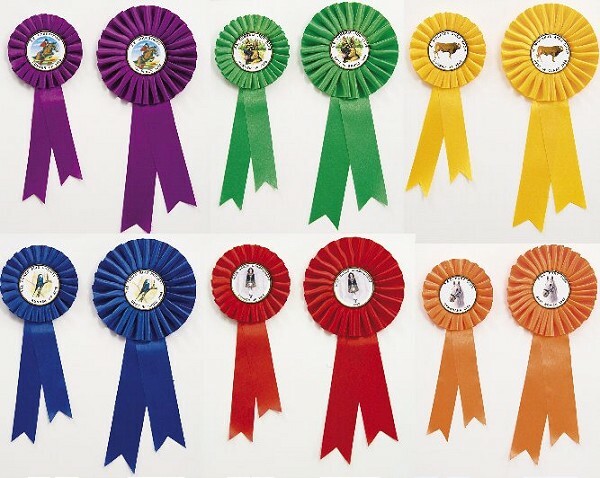 Rosettes available in 2 sizes, 255mm and 300mm in length. 6 colours to choose from red, blue, yellow, green, purple and orange. 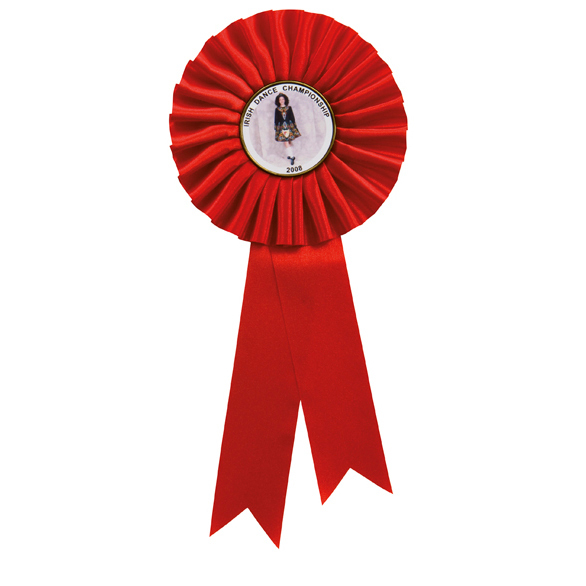 Have the centre customised with your club logo or a standard centre. All come with clips on the back.